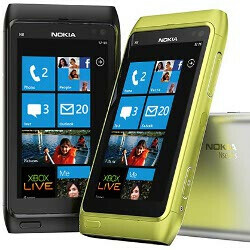 Nokia's decision to adopt Windows Phone 7 as its main platform shook the cell phone world two months ago. Newly appointed CEO Stephen Elop promised to change the company fast and now we have the opportunity to get an inside peek at what's going on in Finland. Russian tech analyst Eldar Murtazin got a hold of the first and only Nokia WP7 prototype and unveiled a number of interesting details about the future development of the company. Murtazin got a hold of a prototype of what's to be the very first Nokia WP7 handset, dubbed the Nokia W7 by the analyst. A Nokia X7 lookalike with a WVGA screen, it uses a QSD8250 chipset, one of the first released by Qualcomm. Nokia will probably switch to a newer one for the final model, but going with the QSD8250 which was already widely available allowed it to quickly put together a working device demonstrating WP7 on a handset. The camera on the prototype is an 8-megapixel one, with flash and... auto-focus. Auto-focus will be also one of the differentiating features separating most recent Symbian from higher-end WP7 handsets. Nokia W8 – Nokia is already hard at work on a successor to its Nokia N8, which the company considers unmatched in terms of camera performance. The quality of its 12-megapixel sensor might have some rivals in the Android world, but it will be a very strong selling point in the Windows Phone world. Design-wise, it's to be rehauled completely. This high-end device aims to be the most powerful WP7 phone in existence when it hits the market. Currently, a powerful Qualcomm dual-core chip with Adreno 320 graphics is in the plans, but since Nokia's relationship with Qualcomm is not well established, there is some uncertainty about the hardware. Portrait QWERTY candy bar phone – designed to mimic Nokia's successful E series and with the thought that its popularity could be easily transferred to Windows Phone in the same old familiar form-factor. The Finns are actively developing a business-oriented subscription service, which is to be the handset's unique selling point, but details were scarce. Release date hovers around March/April 2012, while the price is to be competitive at nearly $500 (350 euro). Affordable touchscreen device – similar to Nokia W7, but made using cheaper materials and carrying a significantly lower price tag. The price cut will also come from the choice of a basic camera model, probably a full focus one. The phone should come out early, probably in the beginning of 2012. Except for the aforementioned four phones, Nokia is planning to release 12 WP7 devices later next year, but differentiation would be a tough call as currently it's only a better camera that the company can offer. The Finns are still looking at Android as an option, while Symbian^3 is nearing the end of its life cycle. Just as we supposed, the Finns don't have any new Symbian^3 designs, but we'll rather see remakes of existing models. Symbian will undergo three major updates until it's phased out by WP7: July for Symbian PR2.0, already announced as Symbian Anna, fall for PR 2.5 and mid-2012 for PR 3.0. A small disclaimer at the end of Murtazin's post says that the information is unofficial and things are surely to change, but we already know that, don't we? We can't do much but wait now, but in the meantime why don't you share your thoughts on Nokia's upcoming lineup in the comments below? The Finns, the finns, the finns.... And Murtazin didn't say anything negative about those prototypes? That was not Murtazin - at least not in his normal state of mind. P.S. AF and Qualcomm chips aren't nearly enough to bring Nokia back to the top of the smartphone heap. I'm very sceptical right now. 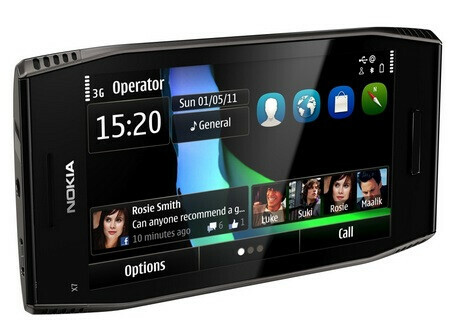 I would hope that Nokia will adopt Android as an operating system and not just W7! I like Nokia phones but at the same time I like Android too! Hence thats why I have the Motorola Milestone 2 and not a Nokia! So, I will be the one to ask, "Are those front-facing cameras or proximity sensors?" Oh yes nokia show the world what you can really do! If Nokia goes Android, and comes up with a better spec'd E7 type device with an autofocus camera of 8MP or higher, and microSD expansion, I'm in. Otherwise, I'm done with Nokia since WP is not the kind of OS I'm looking for. A portrait QWERTY candy bar is going to be interesting considering that WP was not designed at all to be used in landscape, save for the browser (which needs work in landscape) and writing an email and text message. So unless they make the entire UI work in both portrait and landscape, we have to suspect that it's going to be designed like the Droid Pro.